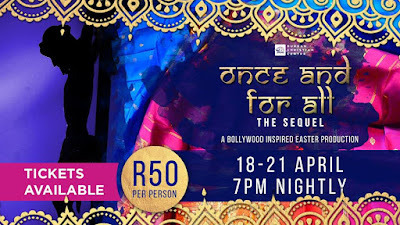 Performances of this Bollywood-inspired Easter Production take place at the Durban Christian Centre in Mayville at 19h00 from Friday to Sunday, April 19 to 21, 2019. 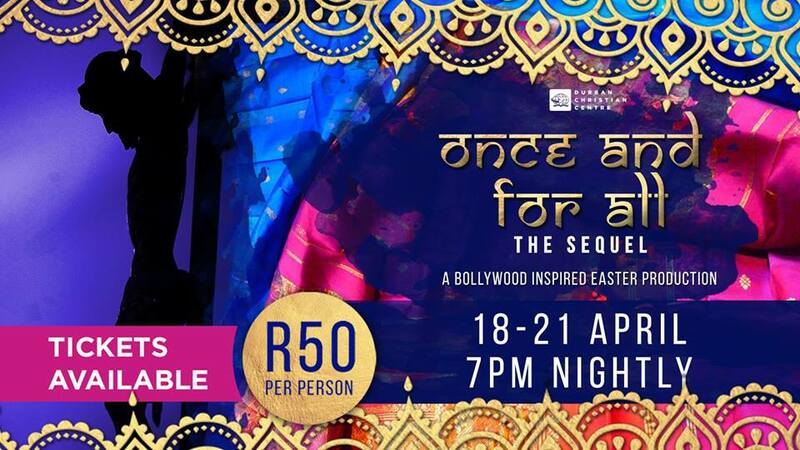 Tickets R50 may be purchased from either DCC office in the week (call 031 242 5000) or before the show. The hall seats 1,200 and seating is unreserved so be early! Parking lots are guarded. The DCC Family Life Centre is situated on the corner of Garth and Galway Roads, Mayville (next to N2 near Tollgate Bridge and up the hill from Malls Tiles).